​Brenda Gordon works in oils and/or acrylics, building up texture and glazes to create vibrancy in color, shadow and light. ​Her subject matter is diverse and has been described as romantic realism. In all of Gordon’s work, attention to convincing detail reveals her passion for the beauty of nature, interest in human interaction and love of expressing it through the imagery of art. The South Florida Gallery represents some of the most original creative artwork in the area. 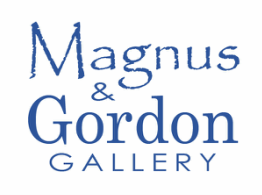 The Magnus & Gordon Gallery’s goal has always been building long-term relationships with every client, interior designer and trade professional and to ensure that their art purchasing process is an enjoyable one. We offer private consultations in the comfort of your home or office or yacht for your convenience. In addition, ongoing exhibitions, artist’s receptions and fund-raising events are held at the gallery throughout the year. At these events, collectors have the unique opportunity to meet today’s top artists in an enjoyable atmosphere. Magnus and Gordon focuses on a high spirited art gallery and the promotion of art in the community.